It’s December! Christmas is just around the corner! 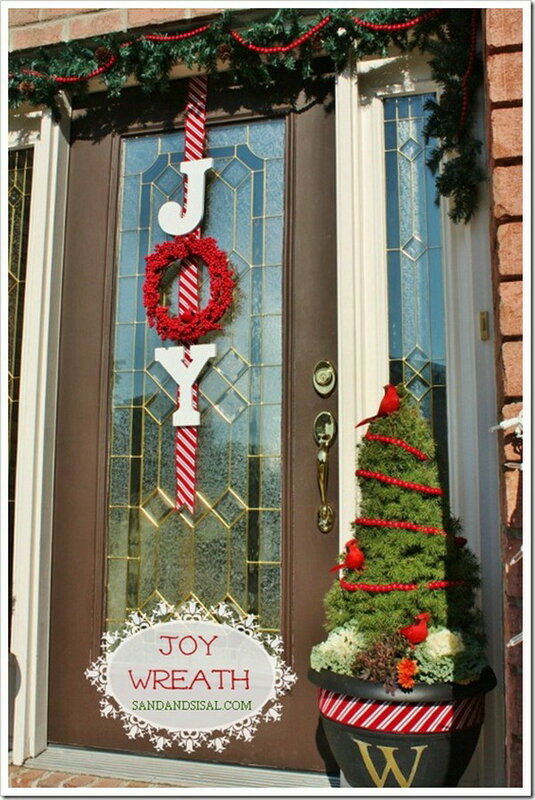 Boost the holiday cheer with door decorations that call out the season. 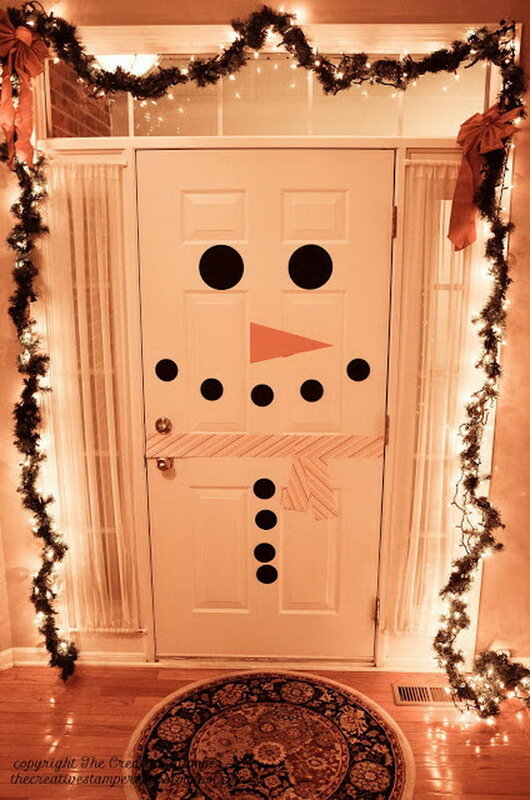 Today in this post, we have rounded up some creative and festive DIY Christmas door decoration ideas for your inspiration! 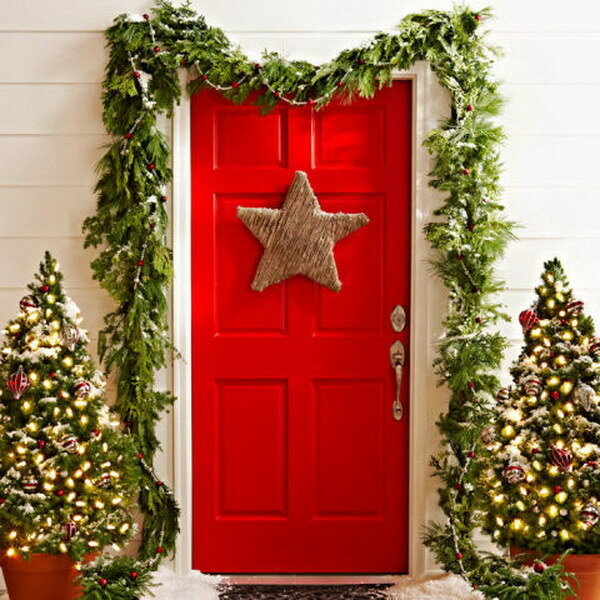 You can decorate your door with the standard holiday greenery or a door wrapped like a Christmas gift, greet visitors with a bit of humor and so on. 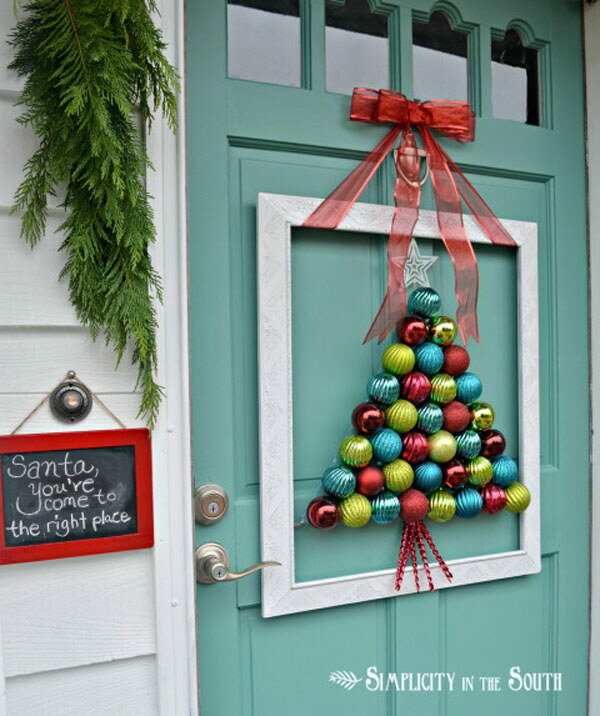 These creative ideas would surely get your door Christmas-ready and brighten up your front porch and help spread the Christmas cheer this holiday season. Take several minutes to browse through all these ideas and get yourself into the holiday spirit and welcome guests with a display that offers tons of holiday cheer! 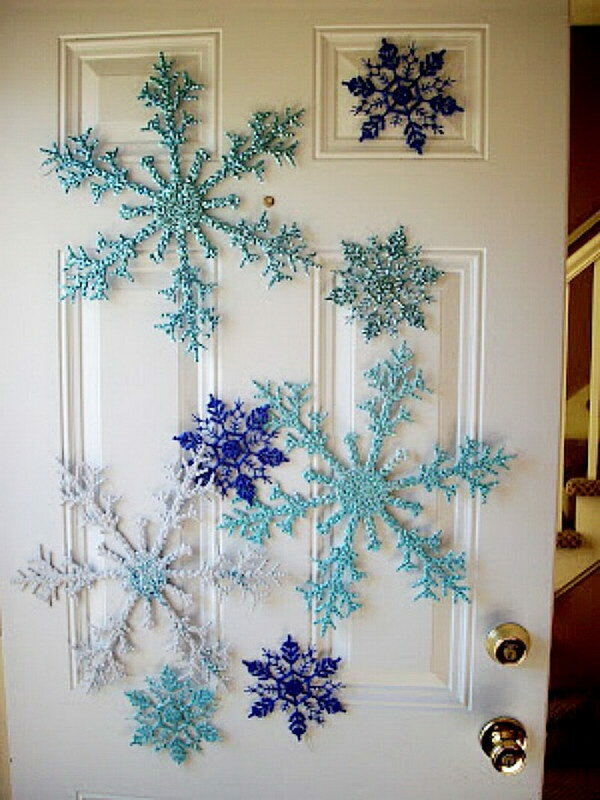 Decorate your door with this creative and simple idea. You kids will in LOVE with this snowman project! See more details via the creative stamper spot. 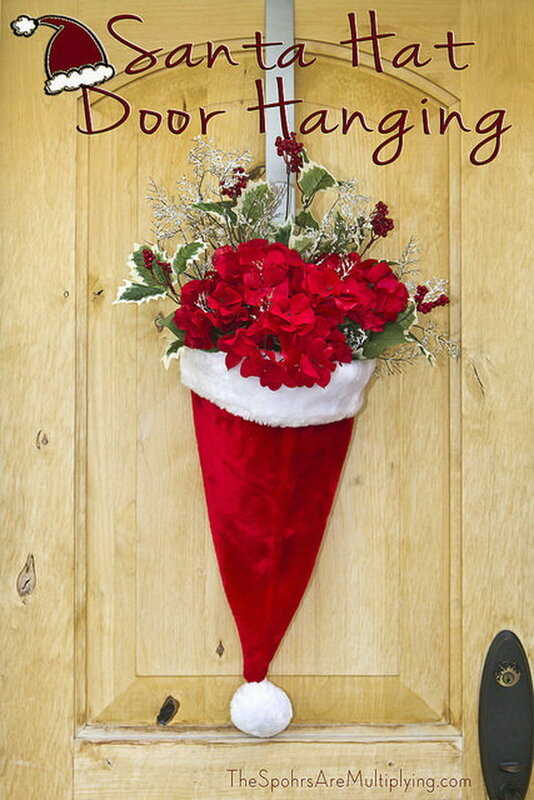 Instead of a traditional wreath try using the Santa hat and some fake flowers or evergreens to make this super cute and simple Christmas decor for your door! Get the steps via the spohrs are multiplying. 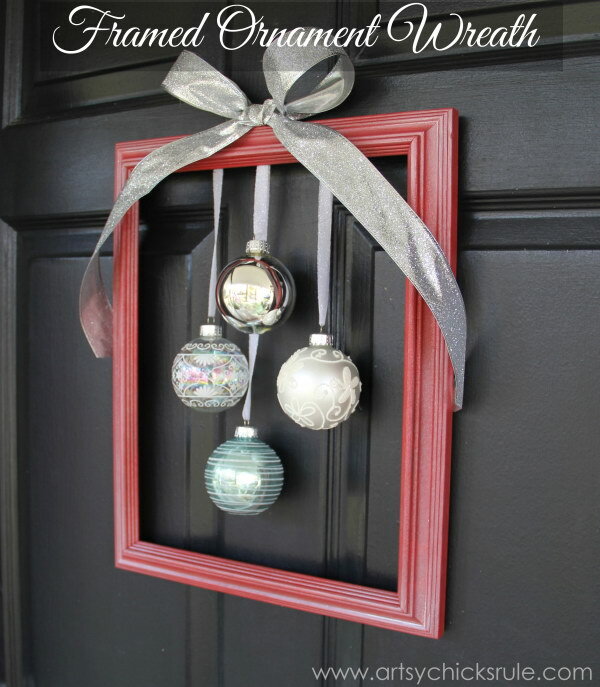 A quick and easy way to take a few ornaments and an old frame, then dress them up gorgeously for your front door! 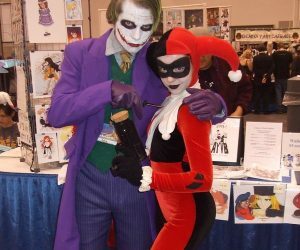 Learn how to make it via artsy chicks rule. Love the solid red color of these holly berries! 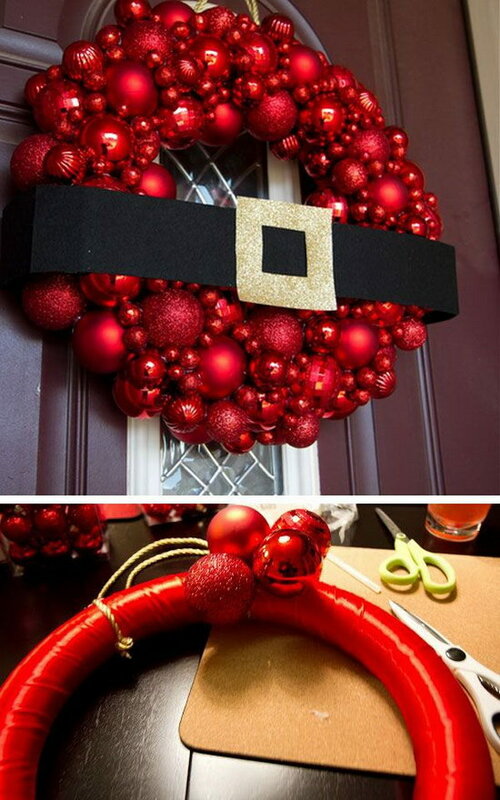 They are perfect materials for a DIY wreath for Christmas door decoration! See the steps to make it via our unexpected journey. Cover your seasonal decorations with matte adhesive spray, then you won’t have to worry about the winter storms to get in the way to your Chriatmas fun! 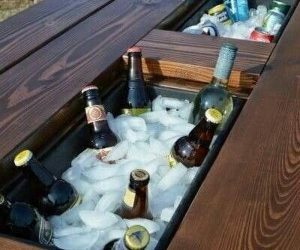 See the details and steps via the wood connection blog. This cute snowman is made with three different size grapevine wreaths. 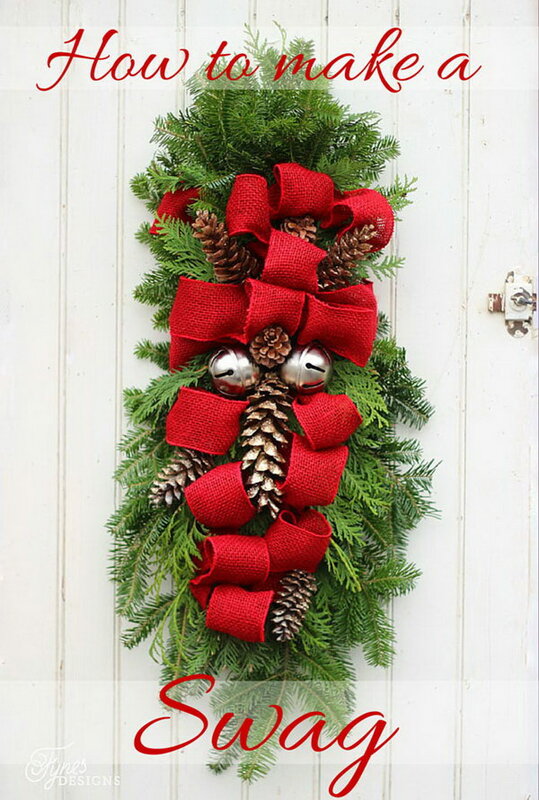 Add rustic charm with this vine snowman wreath to your wither decor! source. Love this gift wrapped door decoration idea. 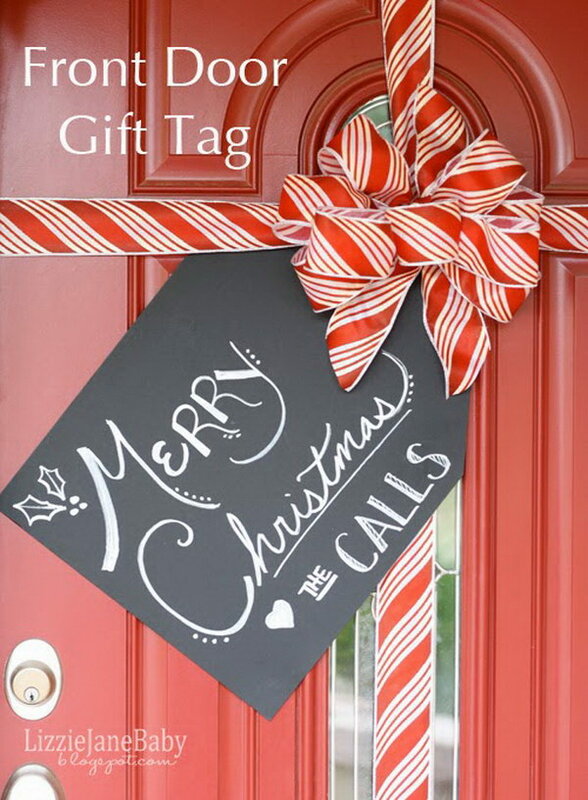 Add an adorable super sized gift tag to welcome your visitors! 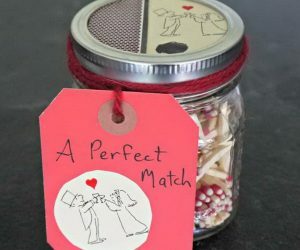 Super easy yet creative and fun idea! See the steps via lizon call. 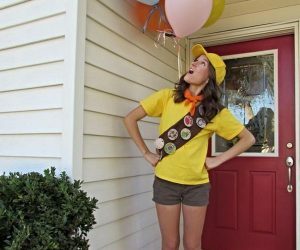 oyfully welcome your guests with a mossy JOY banner on your front door. Steps to make it via uncommon designs online. Using natural plants to make this swag, bringing all that garden freshness right to your doorsteps. See the tutorial via fynes designs. 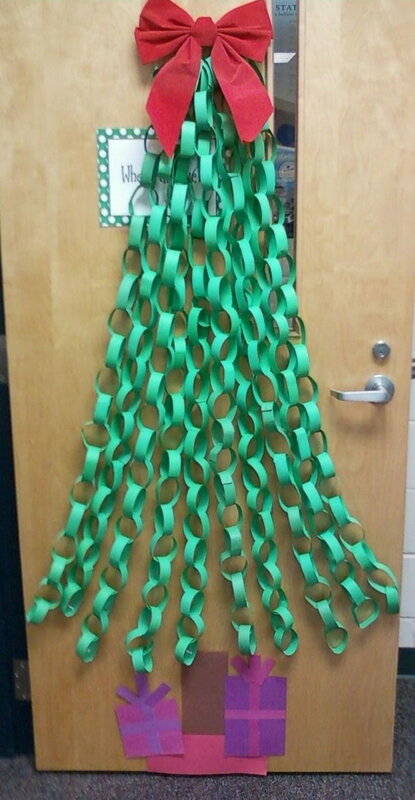 This Christmas tree garland was made from paper chains. It would definitely make any door more welcoming. 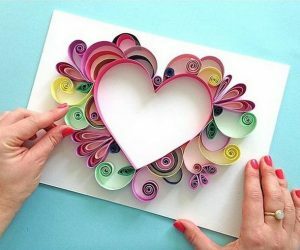 You could use construction papers or colored lightweight cardboard to make a sturdy piece. 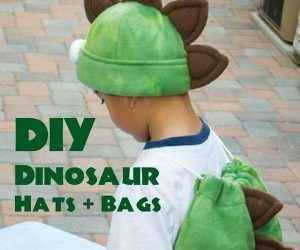 Have great fun to make this one with your kids! 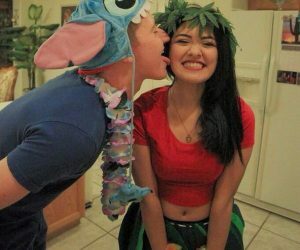 See more details via smash blog trends. Learn how to make this beautiful framed Christmas tree ornament wreath for your door decoration via simplicity in the south. This is so cute and easy for our front door decoration this year! See details via the craft in me. 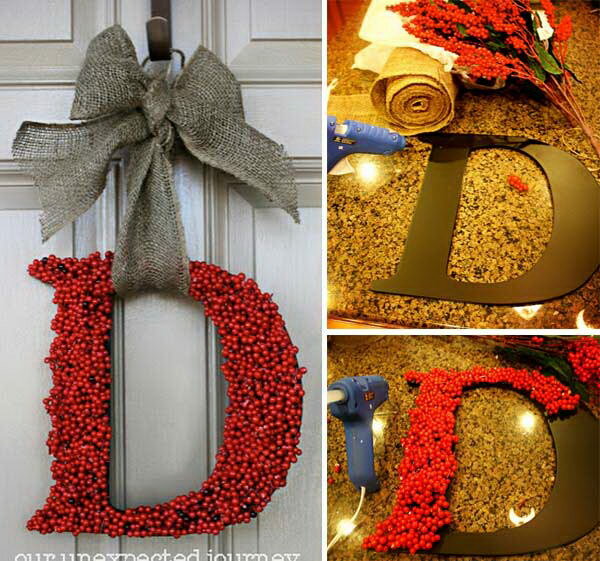 Get ornaments and ribbons from the dollar store and make this simple ans elegant decor for your door this Christmas! Create an elegant winter wonderland vibe to your home! See the tutorial via design dining and diapers. Use Christmas ornaments to make a stunning Christmas tree. 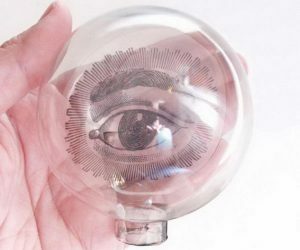 It would be would be so attractive on your door and is perfect with string lights. More details via family holiday. 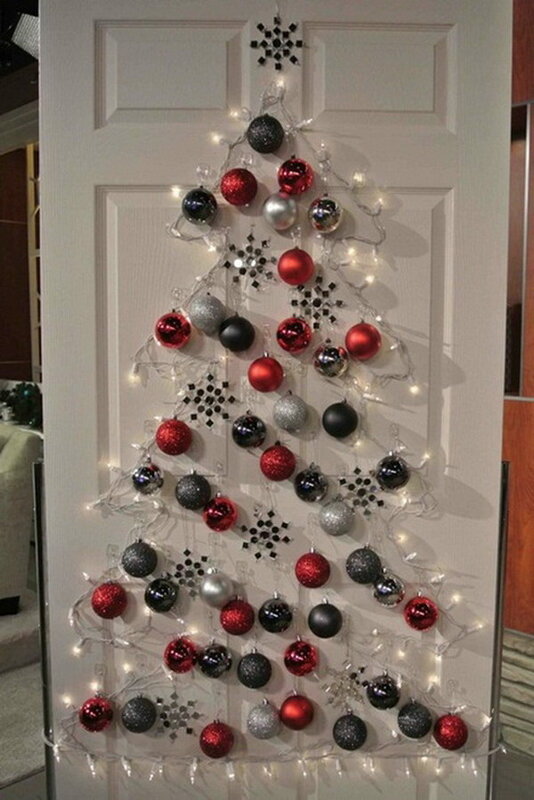 Enjoy the real joy of Christmas with this creative door docorations! See the tutorial via sand and sisal. Add holiday cheer and warm to your home with this easy to make ornament wreath! 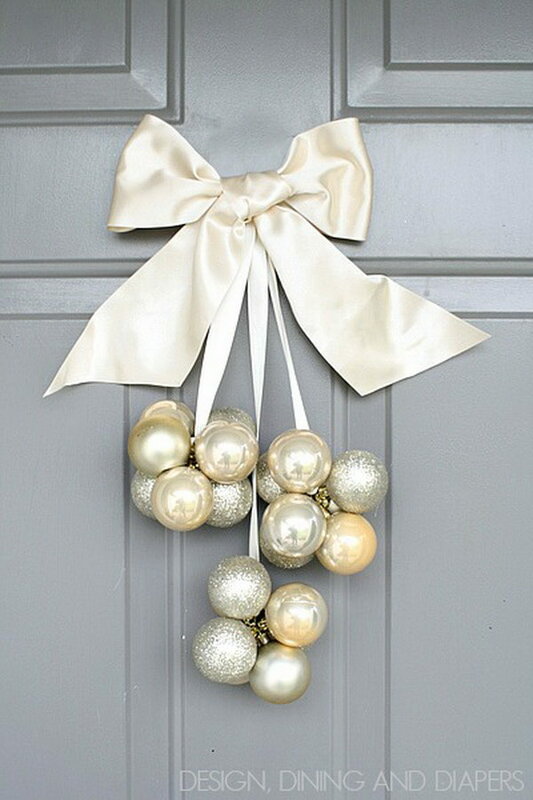 Simple but stunning Christmas door decoration idea! See the steps via mk-creations. A super easy door decoration. 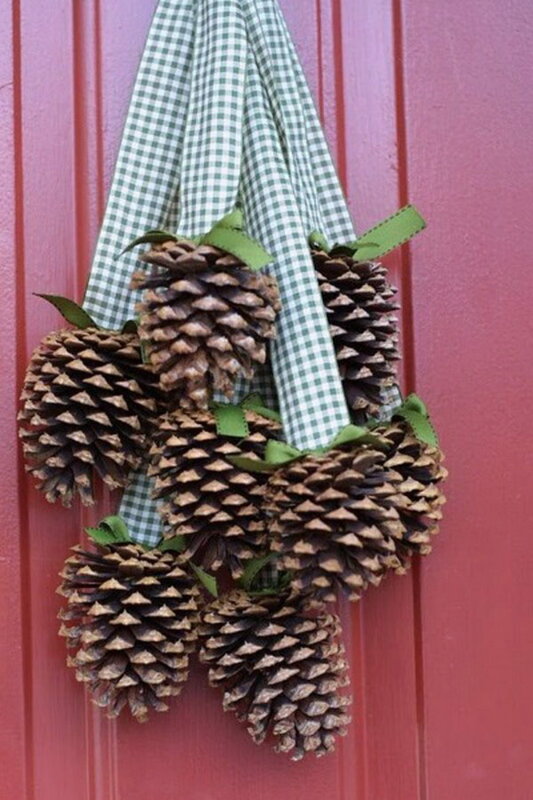 Get a nice ribbon and tie your pine cones to add a rustic warm to your door decoration this Christmas! See more via digs digs. 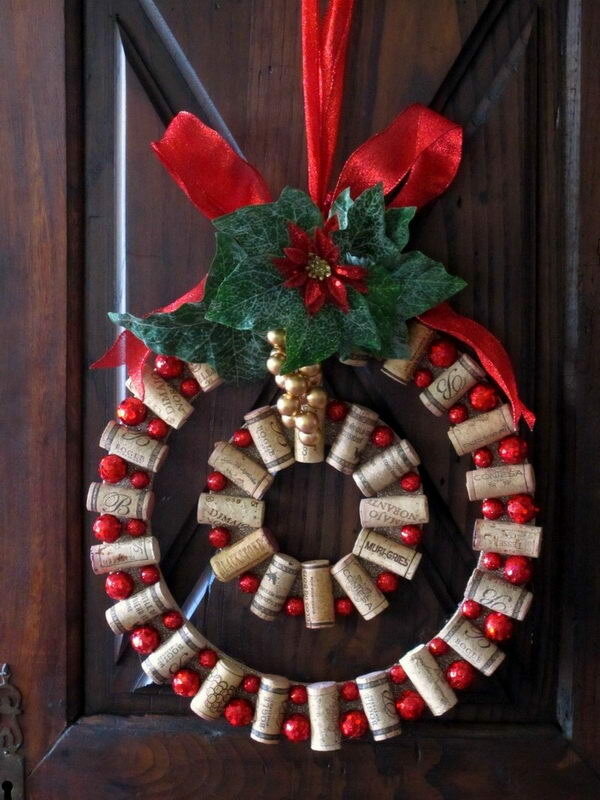 A really fun and festive Christmas wreath made with wine corks. .It’s very inexpensive and would also make a great decor for Christmas door! Via wine and cork. 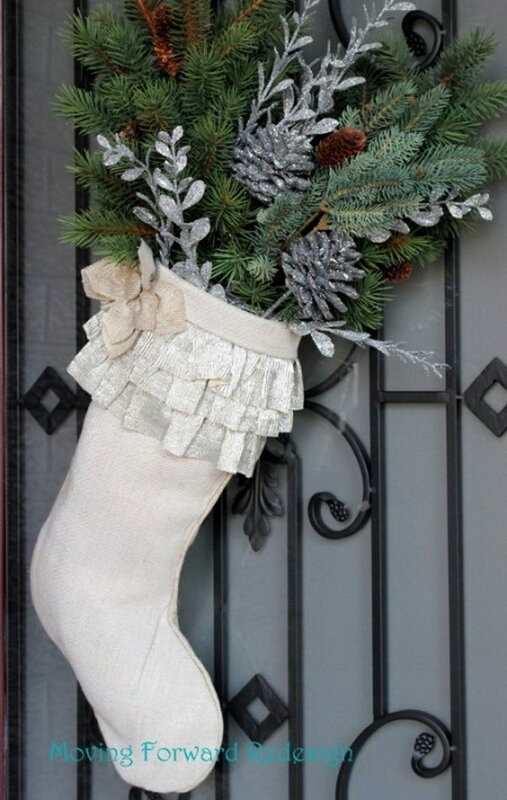 Learn how to use old stockings for door decotation this holiday via decor and dine blog. A DIY twine star is a super charming element to a holiday door. 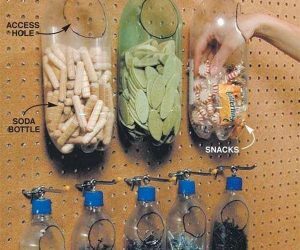 See the tutorial via lowes. 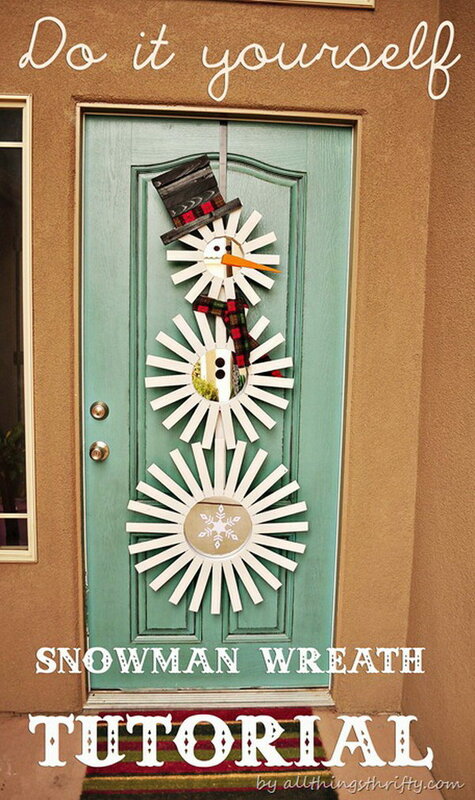 Use wood shims to craft this happy snowman! It looks great on your door! Tutorial via source.